A young man discovers the fine line separating realities. We made The Tribunal specifically for the Virgin Media Shorts competition and knowing the time limit was two minutes twenty seconds, naturally we wanted the story told in that time. Considering the deadline we knew we had to not only shoot the footage but complete the all of the post within the specified time frame, so we opted to film the critical story and begin the post processing of the short film, while filming an additional sequence that adds more context for the sequences that follow in the main body of the story. We then produced the Virgin Short release (which was the original film) while I poured over the reams of footage for what we already decided would be a Directors Cut. Also, due to those time constraints we found ourselves having to cut many really nice interplay shots from inside the Tribunal room. That was difficult. In fact, out of all of the different aspects of film making on this project, be it the filming itself, grading, special effects, sound design, music etc, editing out those clips was the hardest part (and probably took the longest). We shot over 600 clips in those three days of filming, possibly due to over compensation as we made the entire film using a single Canon 550D and didn’t want the horror or realising that somehow, somewhere we missed something. Anyway we didn’t miss a beat. Everything went great and now that the Virgin Short is online as has been submitted, we are producing the Directors Cut which will probably run at approximately three times the length of the original. That isn’t too bad considering the original isn’t even three minutes long! It should be released in a few weeks hopefully. The editing and additional special effects are done so it won’t be long now. 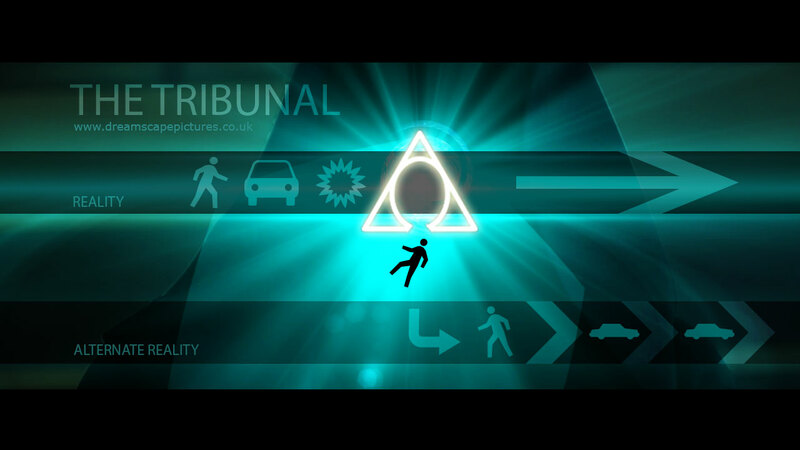 Check out this exclusive behind the scenes video from our recent short film debut ‘The Tribunal‘. The video shows the SFX Make-up application for our main Actor, well actually the only actor on the film, Timothy Weston. Jamey Leigh Weber our supervisor of make-up repurposed and expertly applied a latex application from a previous production that was not actually modelled or specified for our lead actor Timothy, the application took around 2 ½ hrs from start to finish, don’t worry we wouldn’t expect you to sit in front of your monitor for long so we have condensed the process down for your viewing pleasure, so kick back and enjoy! We recently wrote, filmed and produced a (two minute twenty seconds) film for the national Virgin Media Shorts film competition. Filmed on a budget of £200 and one Canon 550D over the course of four days, shooting over 600 shots and with only one actor (playing six roles). A nice little workout. We are fans of films that are generous with the information conveyed through the photography, editing, design and sound and kept to that principle with this short piece. Hopefully the more you watch it the more you will see. We will be updating the website at www.DreamscapePictures.co.uk with updates from the production of the film, a make up application timelapse, a blooper reel (hopefully), notes on sound design, symbolism, special effects and more. After you watch the film, please share it, tweet it (using the tweet button under the video) so it gets spread far and wide, honest feedback is also always appreciated! Dreamscape Pictures is a creative media startup located in the heart of Camden, London. We specialise in the conception and execution of original film and music for all budgets, from small independent artists up to large corporate organisations. We also produce our own independent music and film projects.